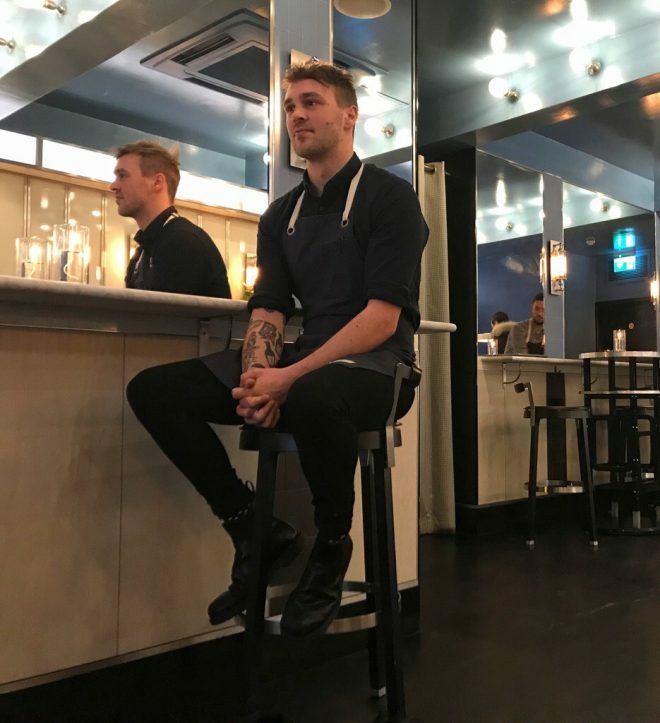 Josh Joyce is the Head Bartender of FARE in London. He makes us two cocktails, one with Bourbon and Grenadine and the second with Cognac and Aperol. 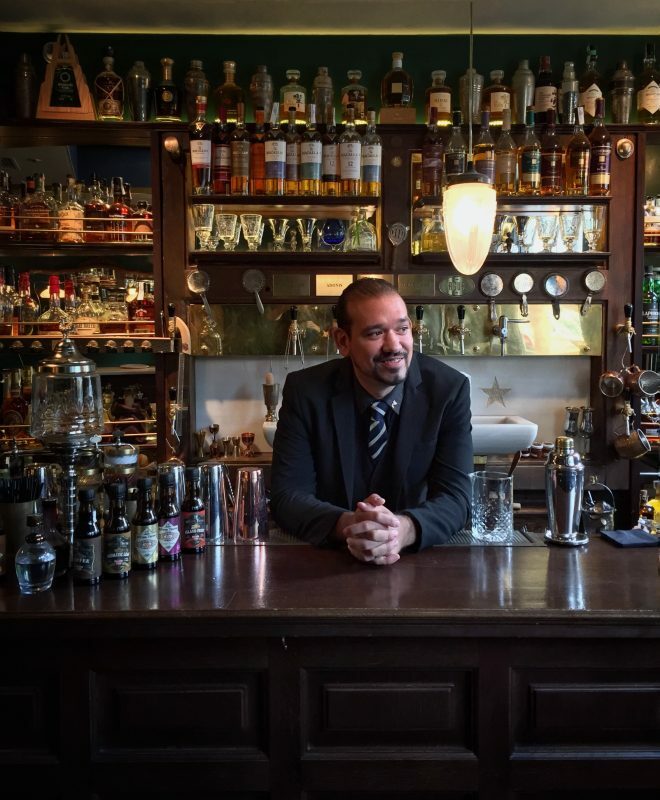 Jose Luis Leon is the Bar Manager of Licoreria Limantour in Mexico City. He makes us two cocktails, one with Tequila and Taco Mix and the second with Gin and St Germain. 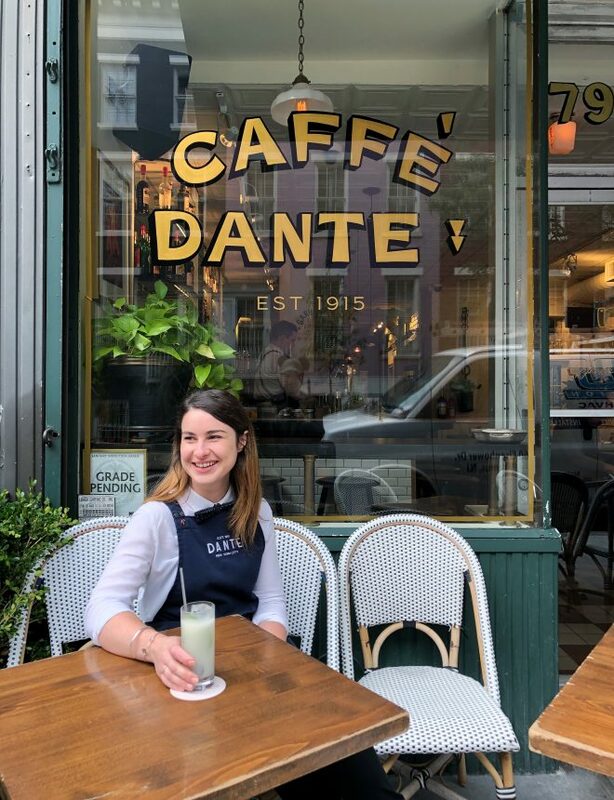 Liana Oster is the Head Bartender at Dante in New York. She makes us two cocktails, one with Campari and Orange Juice and the second with Tequila and Italicus. 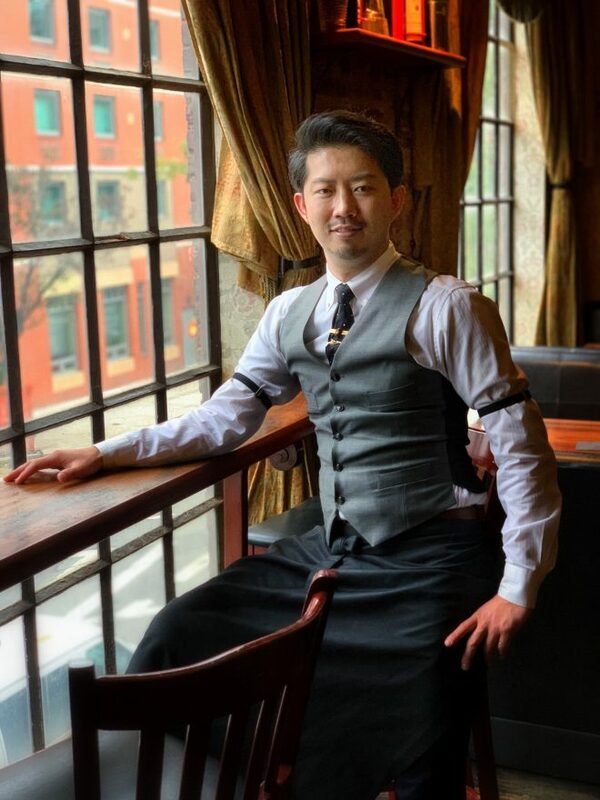 Takuma Watanabe is the Head Bartender at Angel’s Share in New York. He makes us two cocktails, one with Gin and St Germain and the second with Rye Whiskey and Spiced Maple. 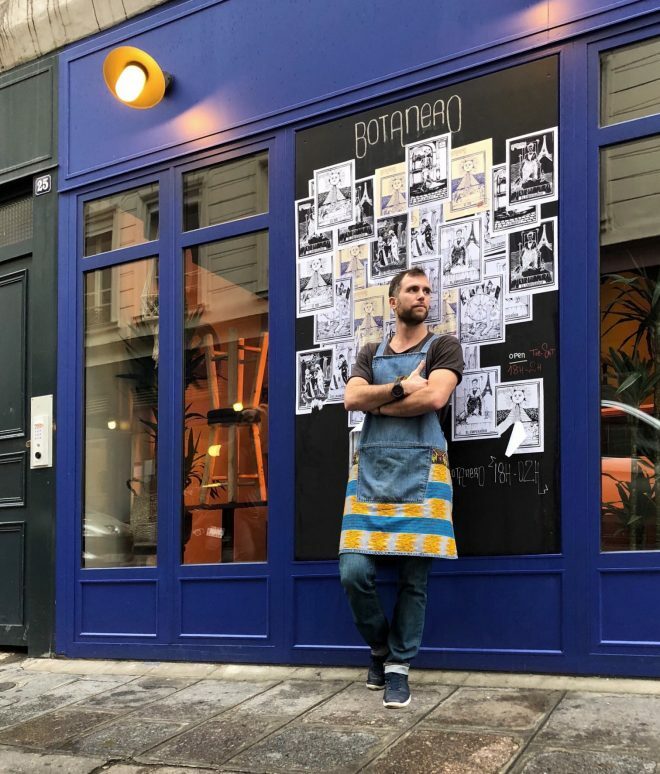 Nicolas Cruz is the Head Bartender of Botanero in Paris. He makes us two cocktails, one with Madeira and Amaro and the second with White Vermouth and Orgeat. 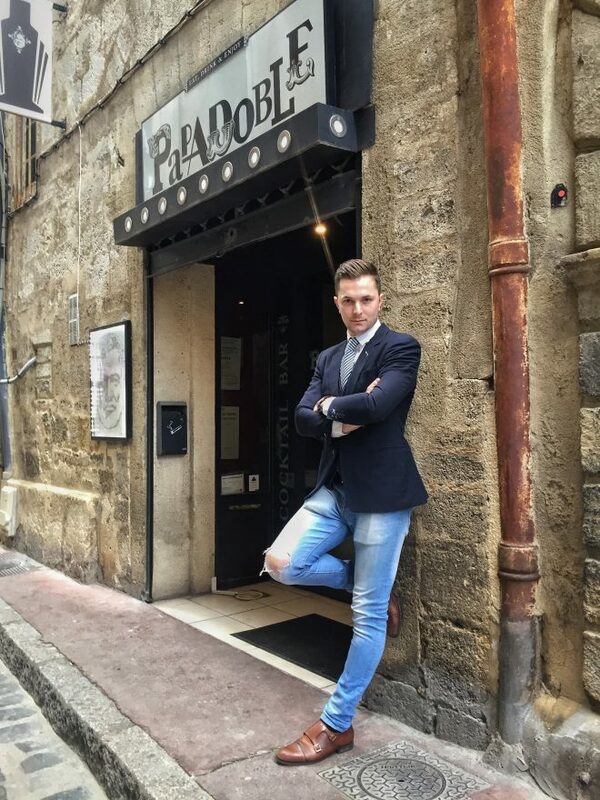 Riccardo Rossi is the Bar Manager at Freni e Frizioni in Rome. He makes us two cocktails, one with Rye Whisky and Maraschino and the second with Pisco and Chamomile. 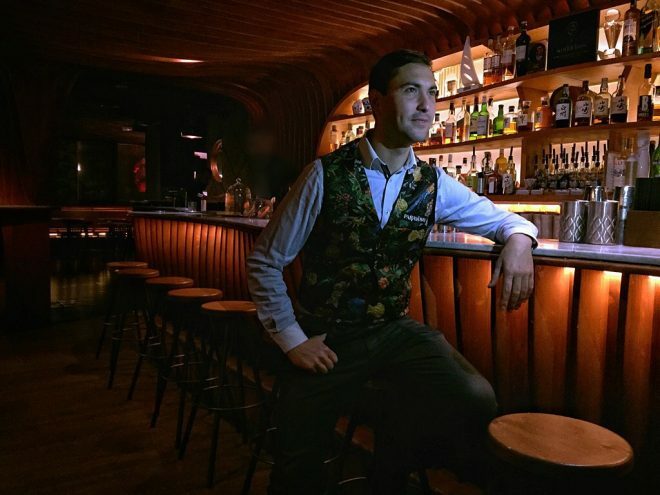 Pietro Collina is the Bar Director at The NoMad in New York. 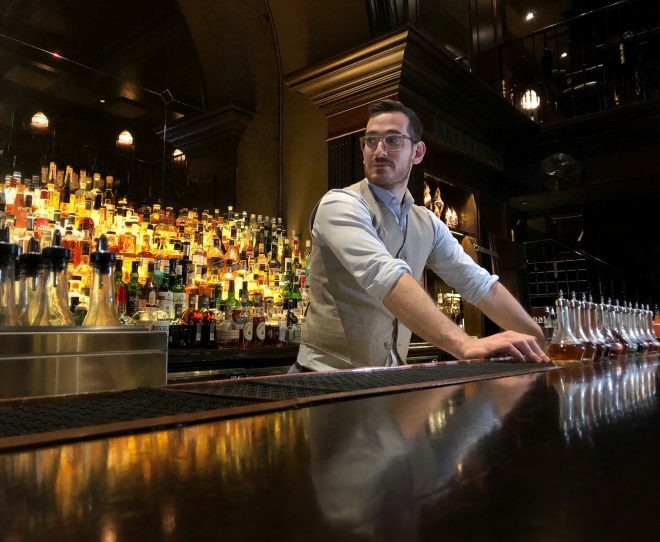 Pietro Collina is the Bar Director at The Nomad hotel in New York. He makes us two cocktails, one with Martini Ambrato and Maraschino and the second with Agave and Green Tea Yoghurt. 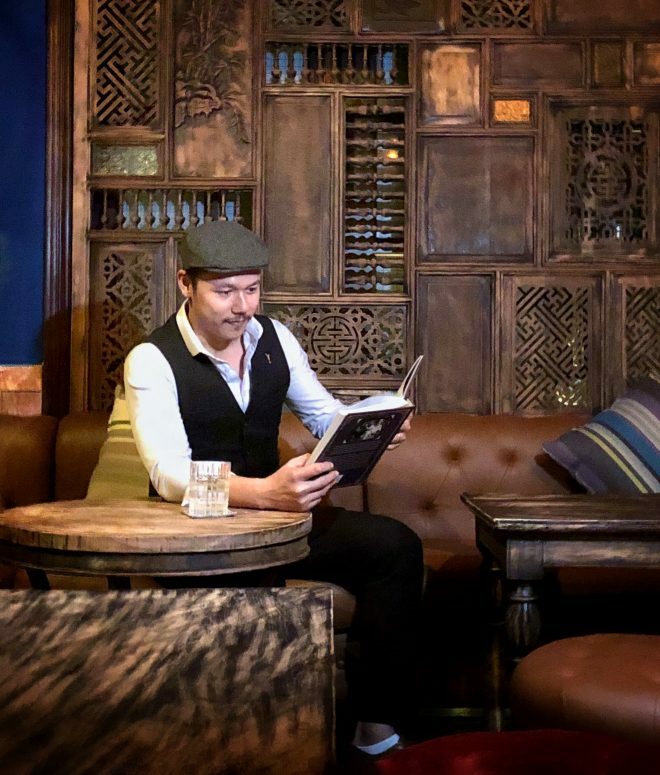 Bui Hoang Nguyen is the Head Bartender at Mad Botanist in Hanoi. He makes us two cocktails, one with Gin and Campari and the second with Luxardo Maraschino and Roselle Switchel. 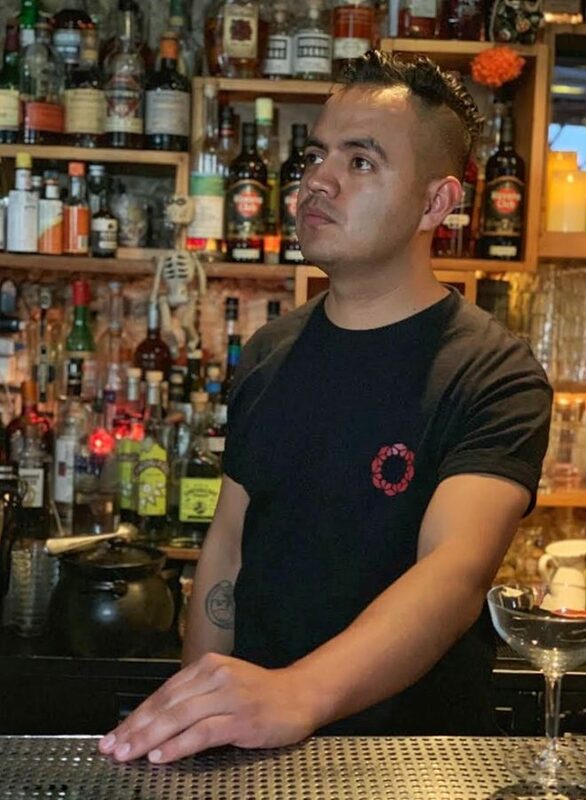 Jay Khan is the Bar Manager at COA in Hong Kong. 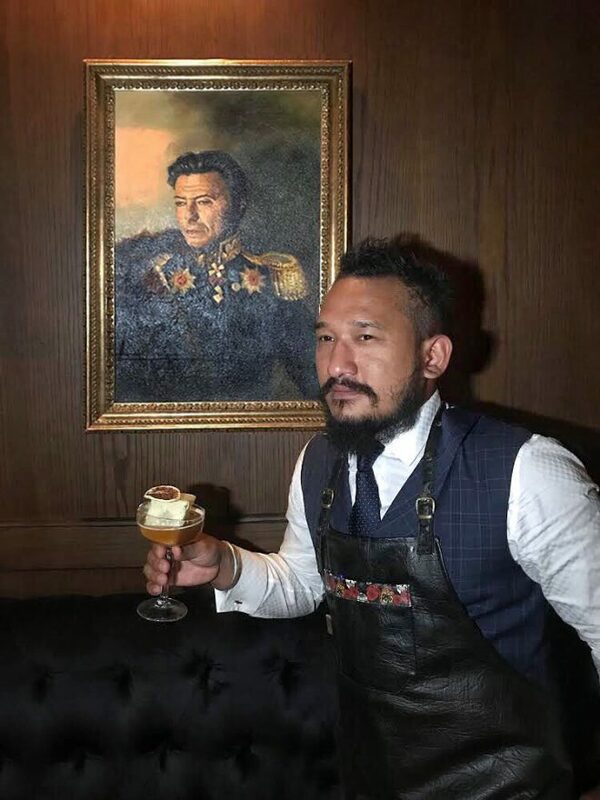 He makes us two cocktails, one with Mezcal and Worm Salt and the second with Tequila and Orchata. 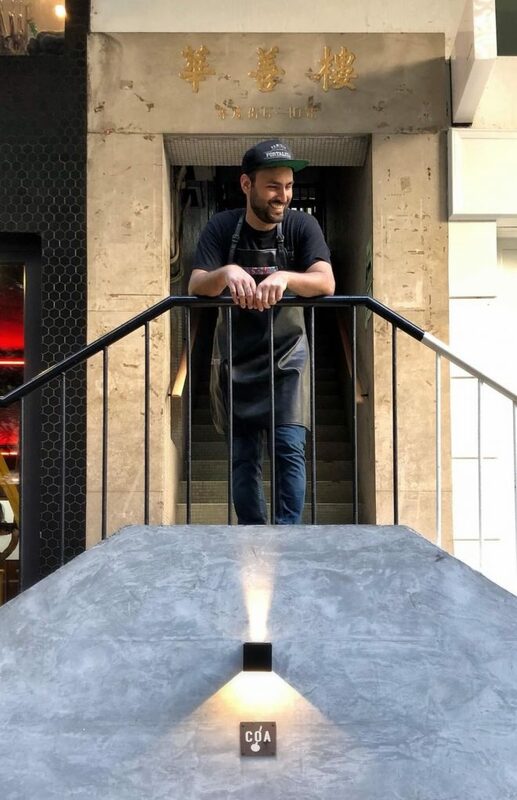 Julien Lopez is the bar manager of CopperBay in Marseille. He makes two cocktails for us, one with Rum and Verjus and the second with Vodka and Balsamic Vinegar. 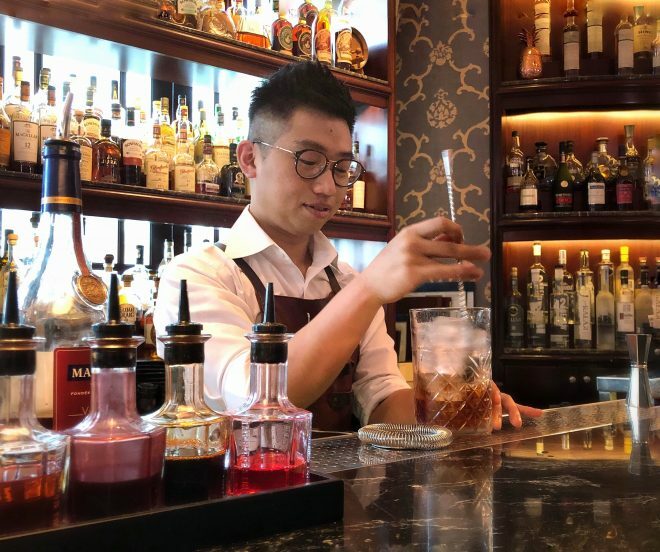 Suraj Gurung is the Head of Mixology at Stockton in Hong Kong. He makes us two cocktails, one with Gin and Cocchi Barolo Chinato and the second with Bacardi and Basil. Quynh Thai is the Bar Manager of Snuffbox in Ho Chi Minh City. She makes us two cocktails, one with Cognac and Lime Juice and the second with Lillet and Brucia. 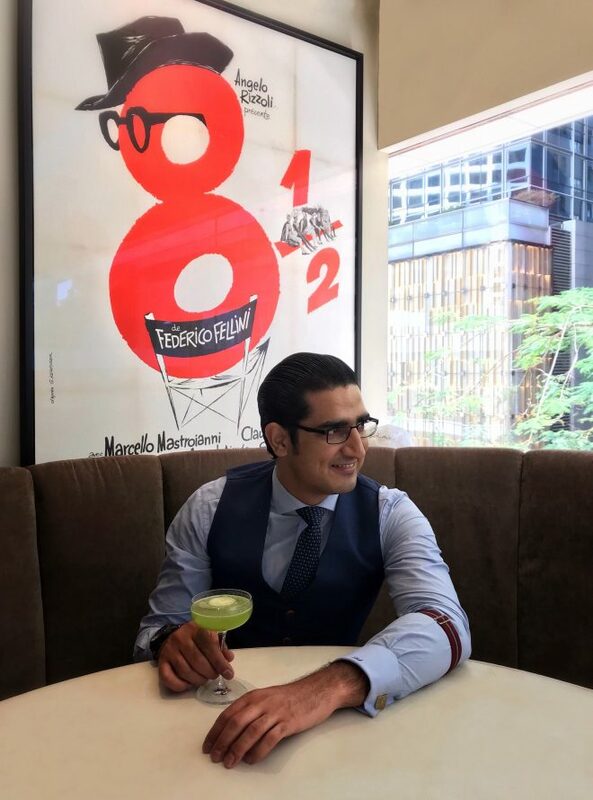 Devender Kumar is the Bar Manager at 8 1/2 Otto E Mezzo Bombana in Hong Kong. He makes us two cocktails, one with Gin and Cocchi Barolo Chinato and the second with Bacardi and Basil. 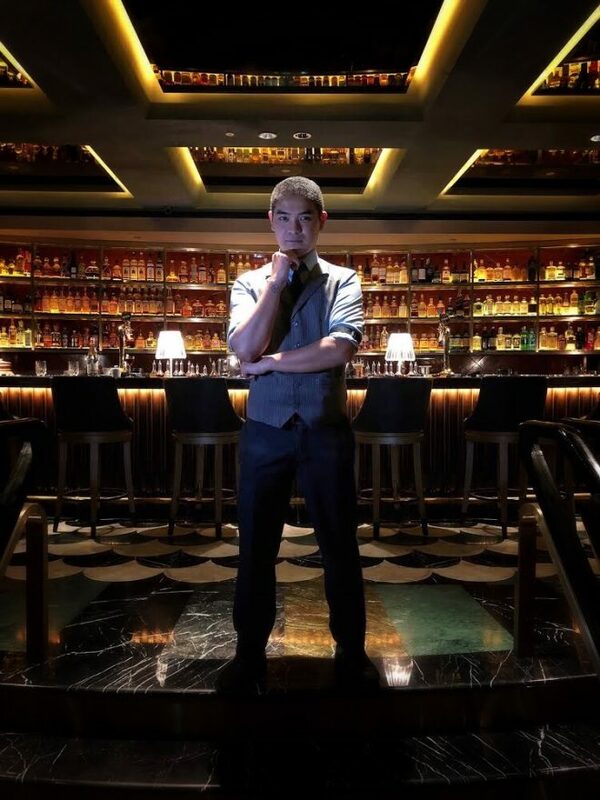 Cedric Allen Mendoza is the head bartender of Manhattan in The Regent Hotel, Singapore. He makes two cocktails for us, one with Tequila and Pistachio Syrup and the second with Gin and Port Wine. 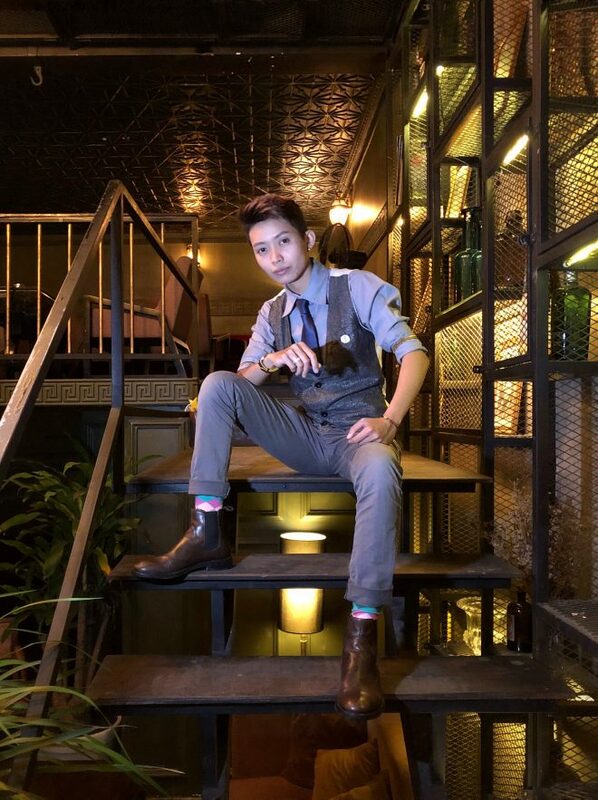 Tan Pham is the owner of ATM Cocktail Bar, in Ho Chi Minh City. He makes two cocktails for us, one with Gin and Bitter Melon and the second with Bourbon and Banana Syrup. 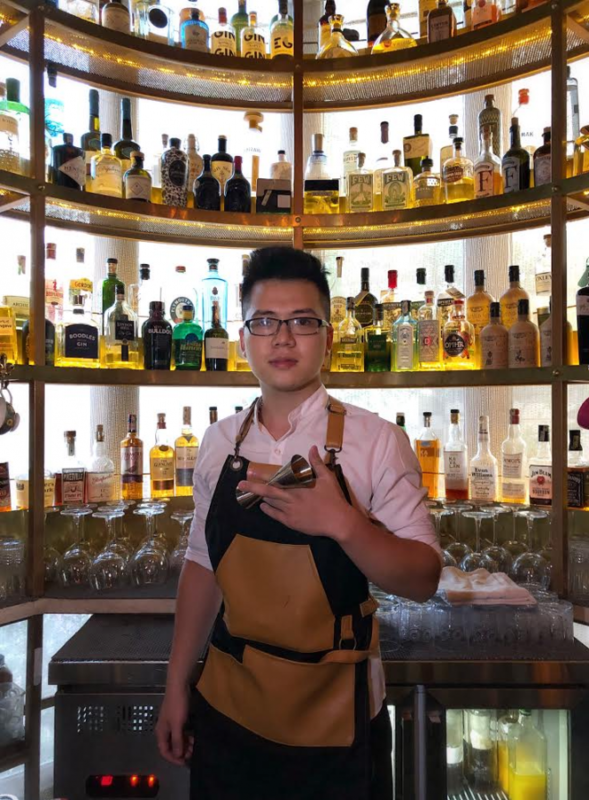 Sim Sze Wei is the assistant head bartender at Atlas, in Singapore. He makes two cocktails for us, one with Bacardi and Benedictine and the second with Gin and Champagne Vinegar. Simon Kong is a bartender at The Lobster Bar in the Shangri-la hotel, Hong Kong. 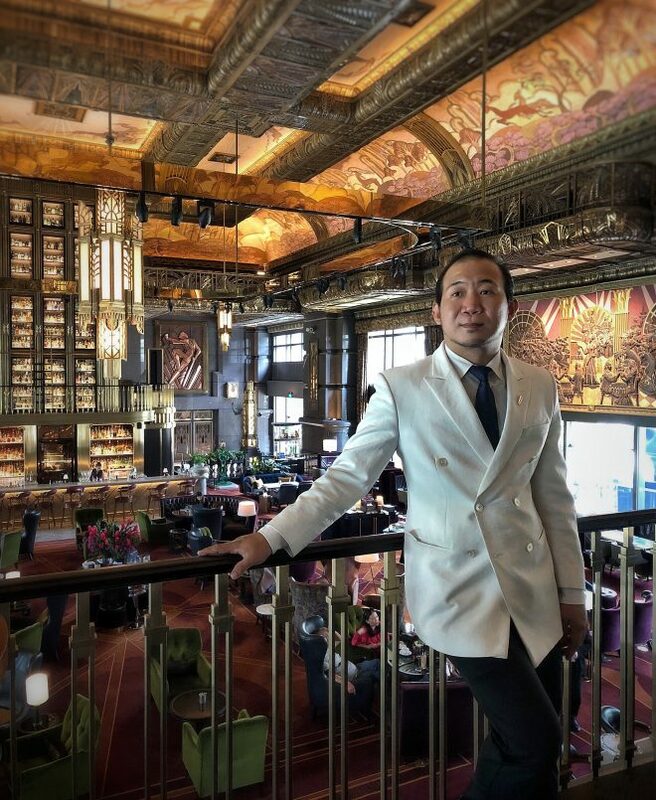 He makes two cocktails for us, one with Rye Whisky and Cognac and the second with Pisco and Jasmine Tea. 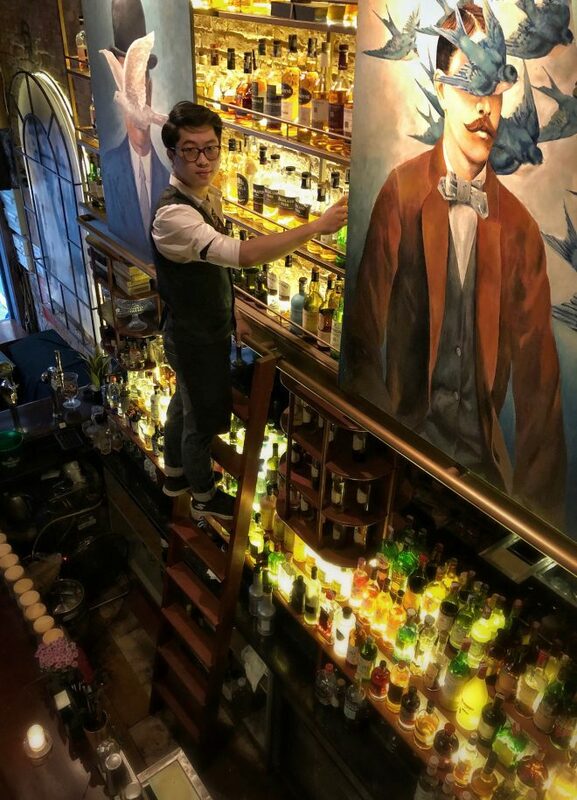 Phan Hà is the head bartender at Polite & Co, in Hanoi. 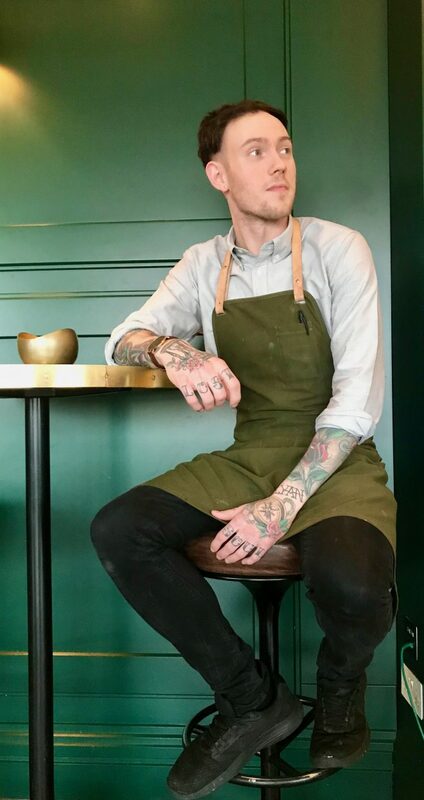 He makes two cocktails for us, one with Gin and Chai Tea and the second with Yuzu and Pandan. Edition Hotel, in London. She makes two cocktails for us, one with Gin and White Lillet and the second with Martini Ambrato and Barolo Chinato. 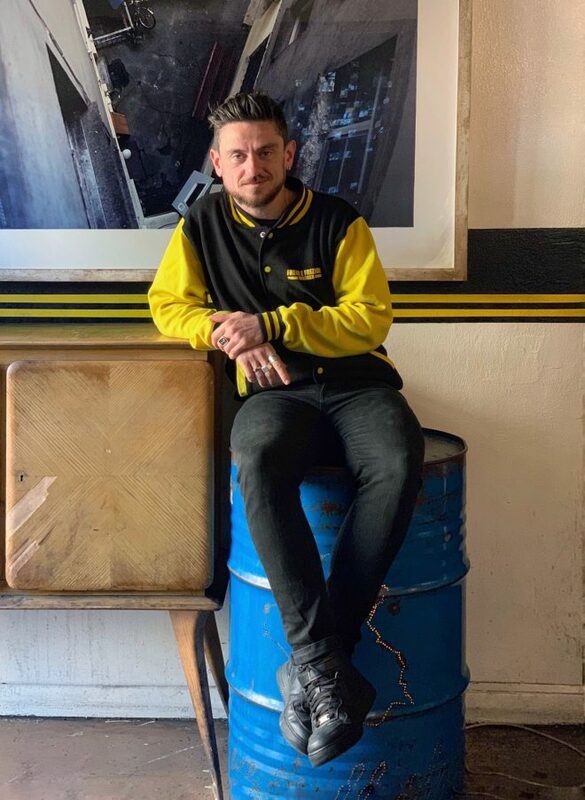 Thibault Mequignon is the bar manager of Danico, in Paris. He makes two cocktails for us, one with Rye Whiskey and Absinthe and the second with Cachaça and Parsley Syrup. 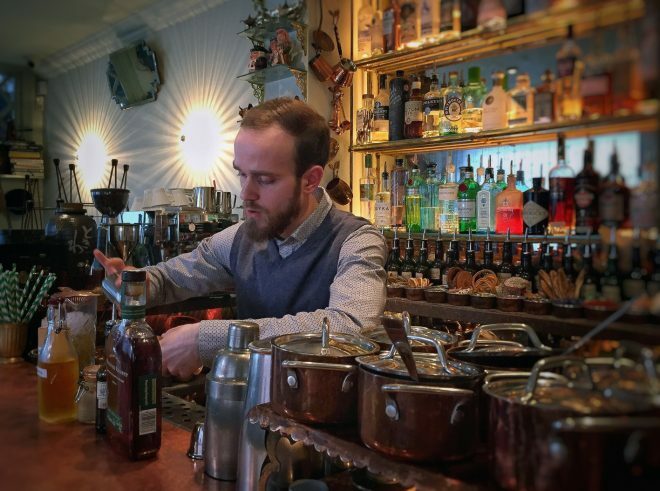 Alex Lawrence is the Head Bartender at Dandelyan, in London. He makes two cocktails for us, one with Gin and Fino Sherry and the second with Vodka and a Pink Sour Mix. 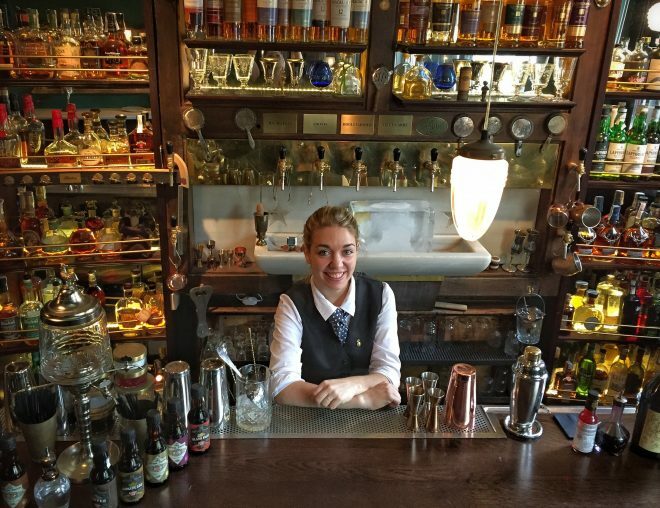 Coralie Doillet is a Bartender at Sol y Sombra, in Barcelona. She makes two cocktails for us, one with Bacardi and Maraschino and the second with Calvados and Rye Whiskey. 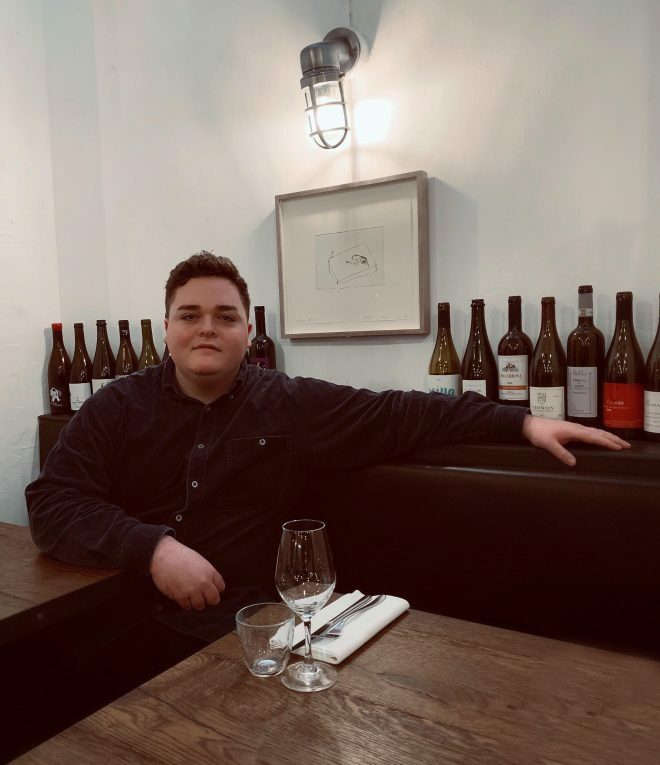 Hamish Dowie is bartender at Swift, in London. He makes two cocktails for us, one with Gin and Campari and the second with Mezcal and a Sugar Snap Pea Sorbet. Margot Lecarpentier is the co-owner at Combat in Paris. She makes two cocktails for us, one with Cognac and Fino Sherry and the second with Calvados and Benedictine. 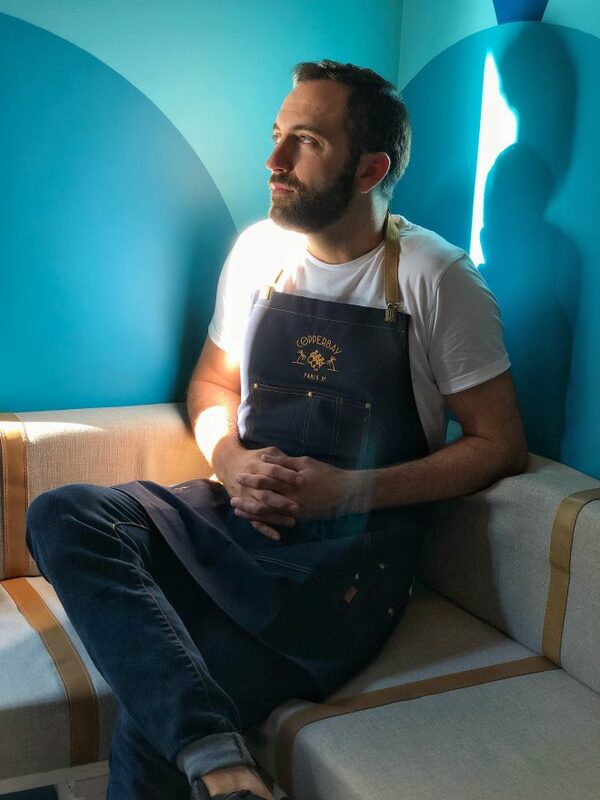 Jordi Baques Velasquez is the founder and head bartender at Sol y Sombra in Barcelona. He makes two cocktails for us, one with Gin and Dry Vermouth and the second with Mezcal and Cherry Heering. 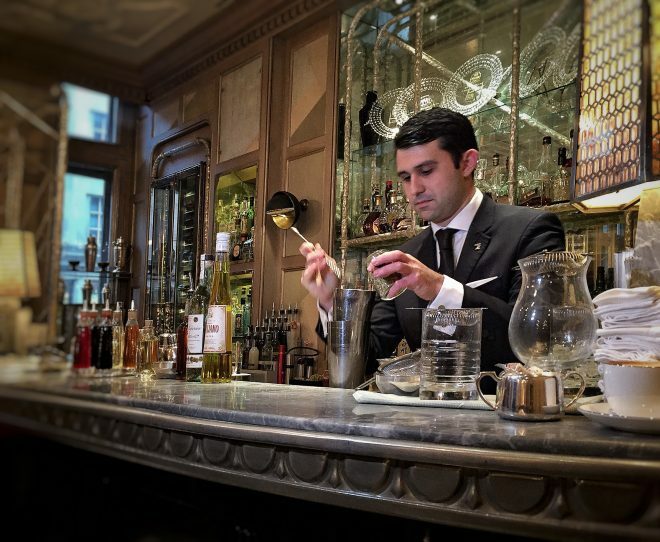 Giorgio Bargiani is a senior mixologist at The Connaught Bar in London. He makes two cocktails for us, one with Bacardi Heritage and Galliano Autentico and the second with Whiskey and Balsamic Vinegar. 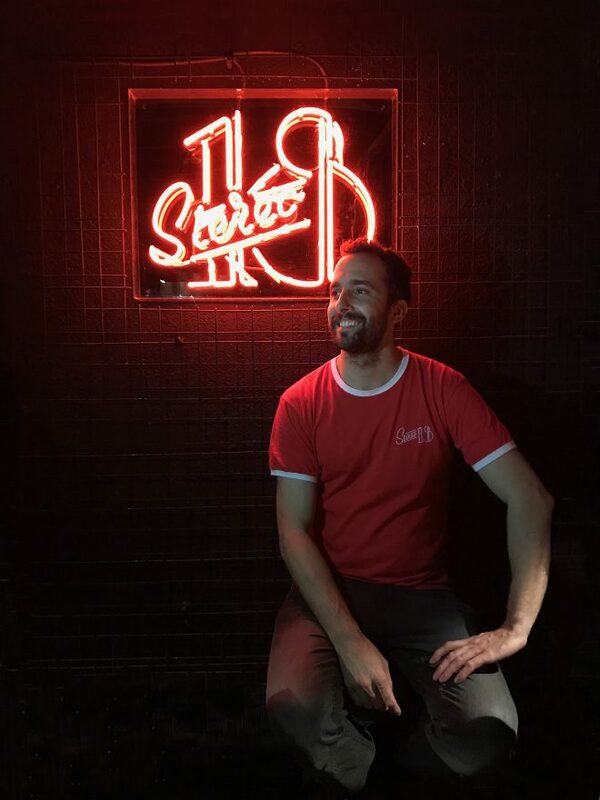 Xavi Prat Lacamara is a co-owner of Stereo 18 in Barcelona. He makes two cocktails for us, one with Rum and Pedro Ximenez and the second with Pisco and Saint Germain Liqueur. 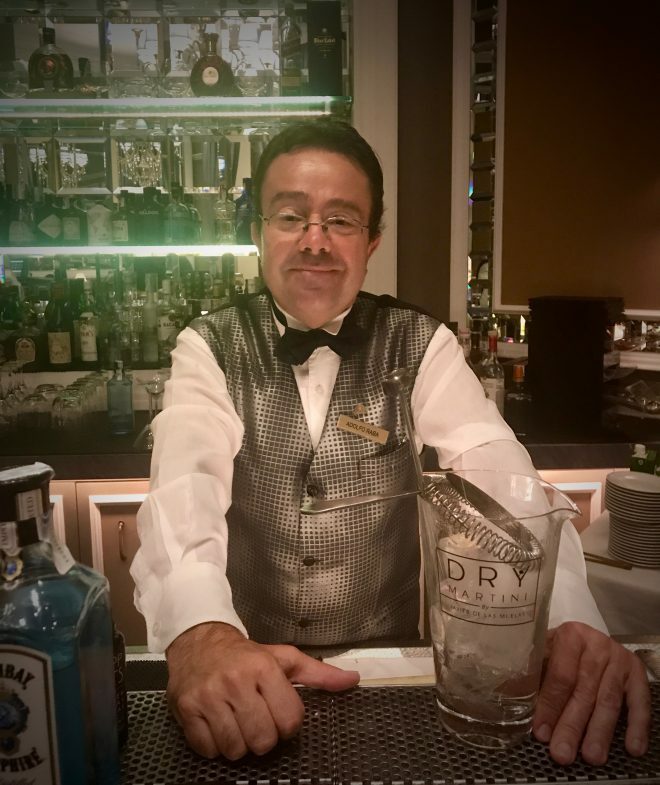 Adolfo Raba is a bartender at Dry Bar in Maria Cristina Hotel Luxurious Collection in San Sebastian. He makes two cocktails for us, one with Gin and Dry Vermouth and the second with Cachaça and Grand Marnier Liqueur. 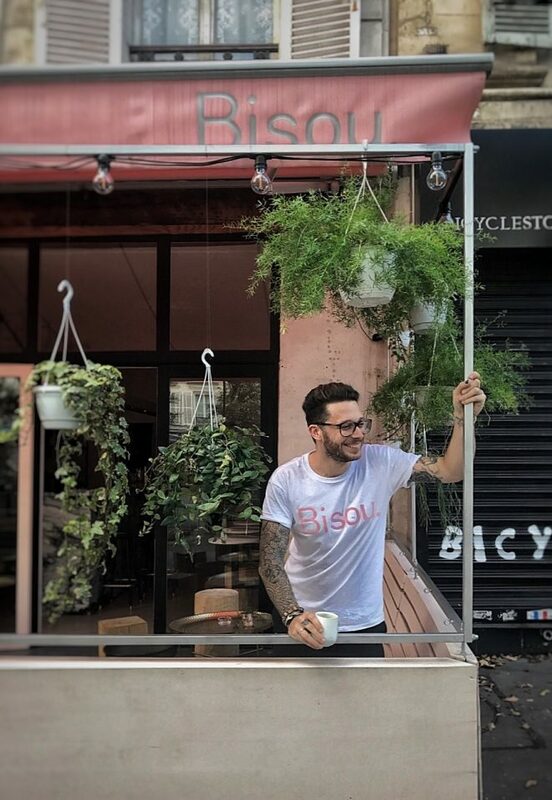 Giacomo Giannotti is the bar manager at Paradiso in Barcelona. He makes two cocktails for us, one with whisky and Truffle Honey and the second with Vodka and Saint Germain Liqueur. 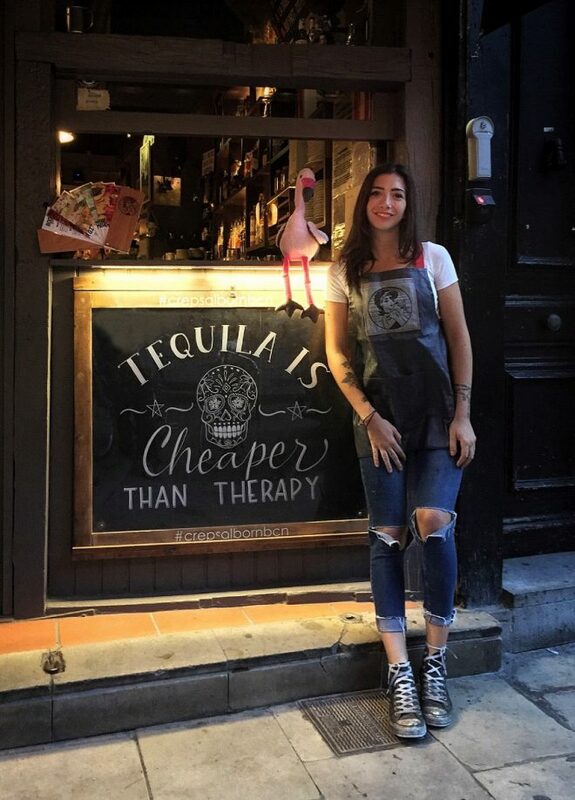 Ginevra Castagnoli is a bartender at Creps al Born in Barcelona. She makes two cocktails for us, one with rum and lime and the second with pisco and Cointreau. 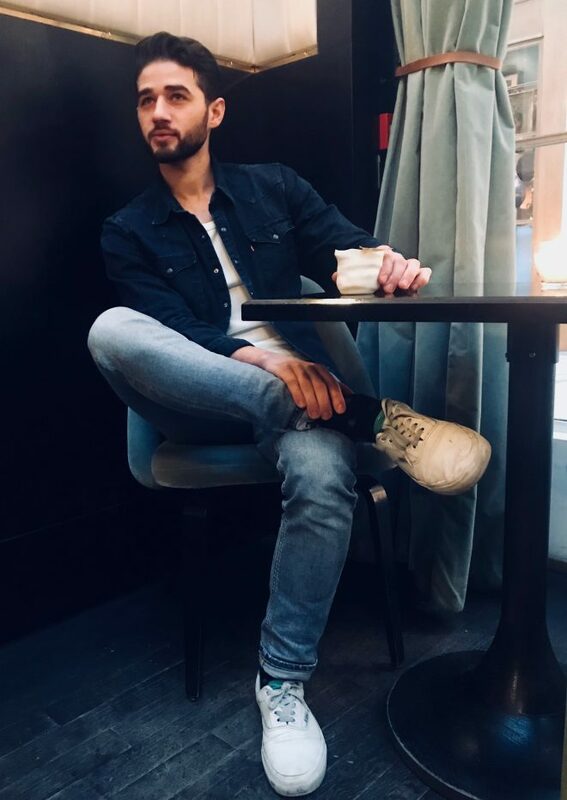 Nicolas Goradesky is a bartender at Bisou in Paris. He makes two cocktails for us, one with Whisky and Cap Corse and the second with Rum and Zucchini Juice. 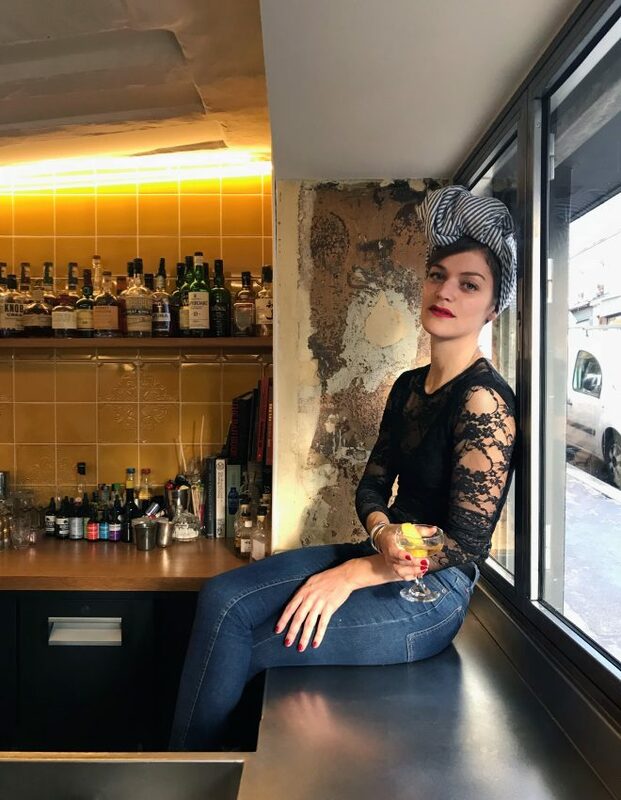 Lilian Sausset is the head bartender at Papa Doble in Montpellier. He makes two cocktails for us, one with Rye Whisky and Punt e Mes and the second with Amaretto and Absinthe. 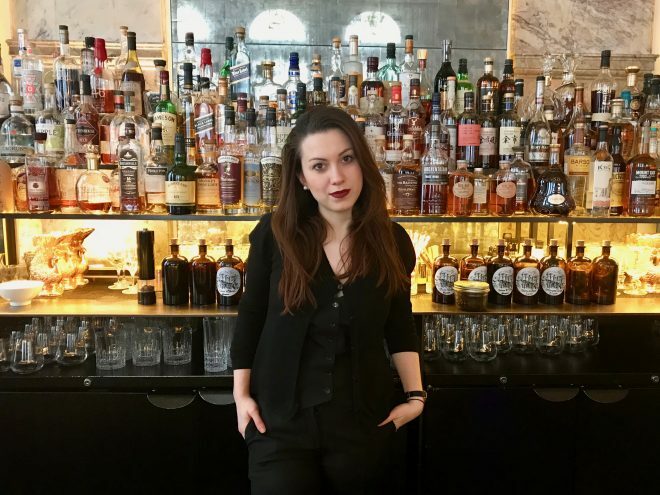 Simone Onorati is a bartender at The Gibson in London. He makes two cocktails for us, one with Rye Whisky and Cannabis and the second with Vodka and Spices. 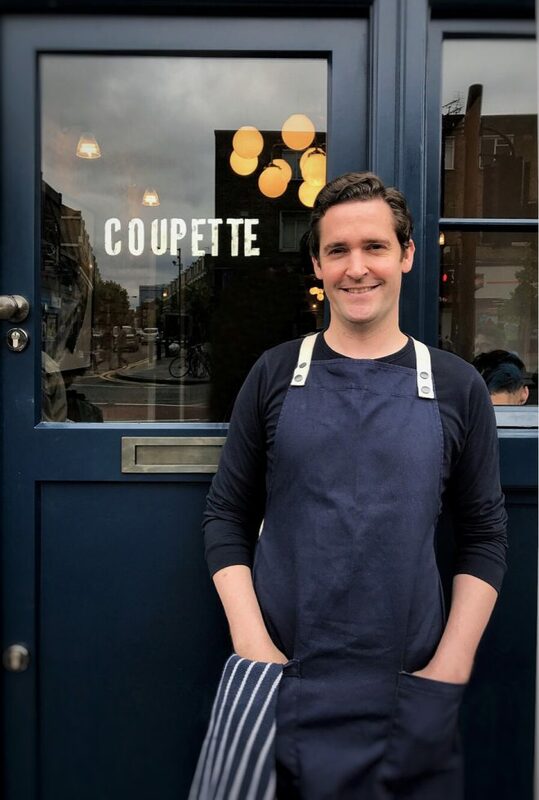 Chris is the founder of Coupette, London. He makes two cocktails for us, one with Rum and Champagne and the second with Calvados and Apple Juice.